Tom is originally from Pittsburgh, Pennsylvania. 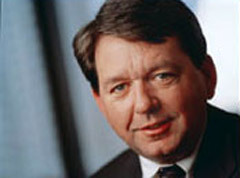 Tom graduated from the University of Notre Dame and received his law degree from The George Washington University located in Washington, D.C. His early experience as a public defender and years of civil trial experience since then provide him a great foundation of knowledge, experience and savvy to successfully obtain the compensation his clients deserve. Tom has tried over 80 cases and has successfully argued appeals in front of the Florida’s First District Court of Appeals and the Florida Supreme Court. Tom has been happily married for 29 years to Laura Hardin (a former court reporter and current preschool teacher). They are the proud parents of five children: Tommy (24), Patrick (22), Kelly (20), Brendan (18) and Connor (16). Please contact Tom directly at duffy@terrellhogan.com.